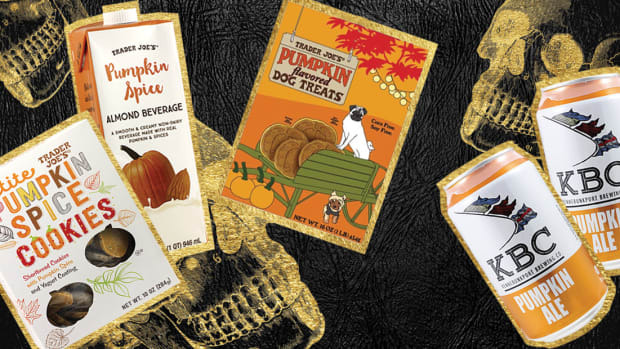 As the official springboard into the holiday season, Halloween sure knows how to keep us busy. Every year, it seems to sneak up on us in the spookiest of ways. 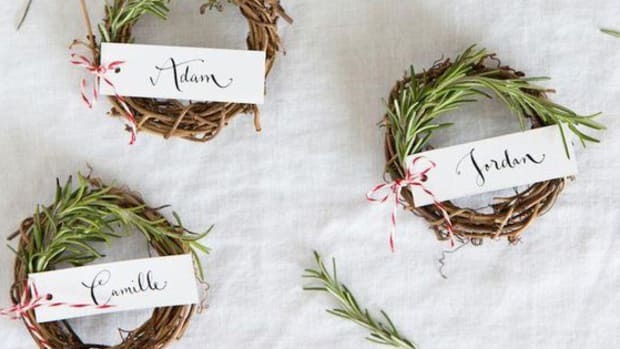 In the hustle and bustle of life, rushing to prep for this ghoulish holiday is far too common. 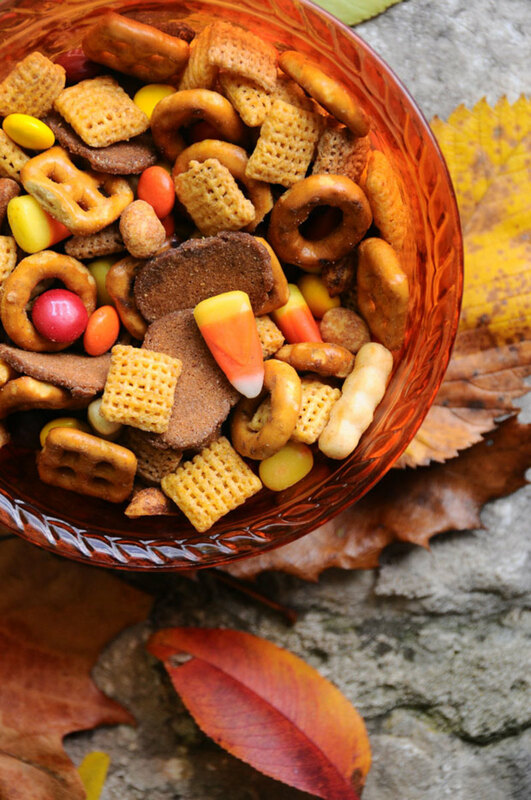 Between coordinating parties and planning clever last-minute Halloween costumes, brewing a tasty dish may be the last thing on your mind. 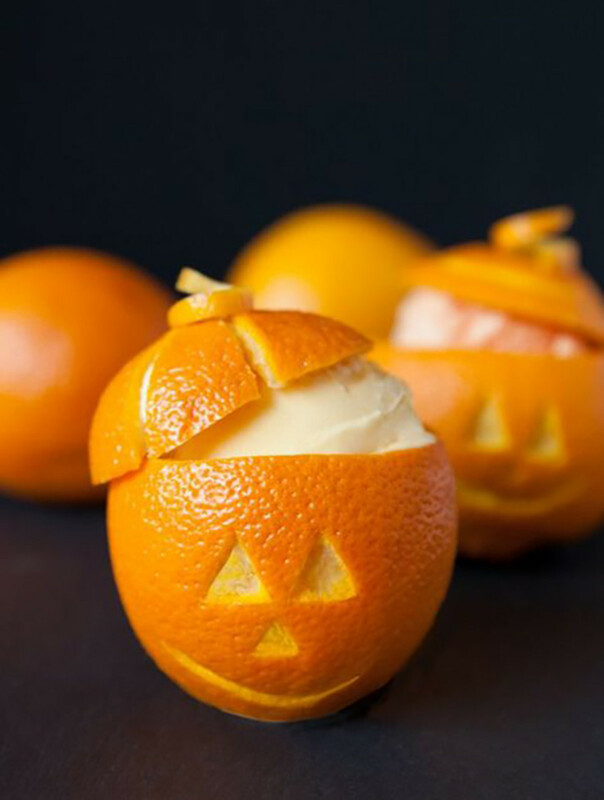 Instead of slaving over a hot oven, try making one of these super-easy no-bake Halloween desserts! 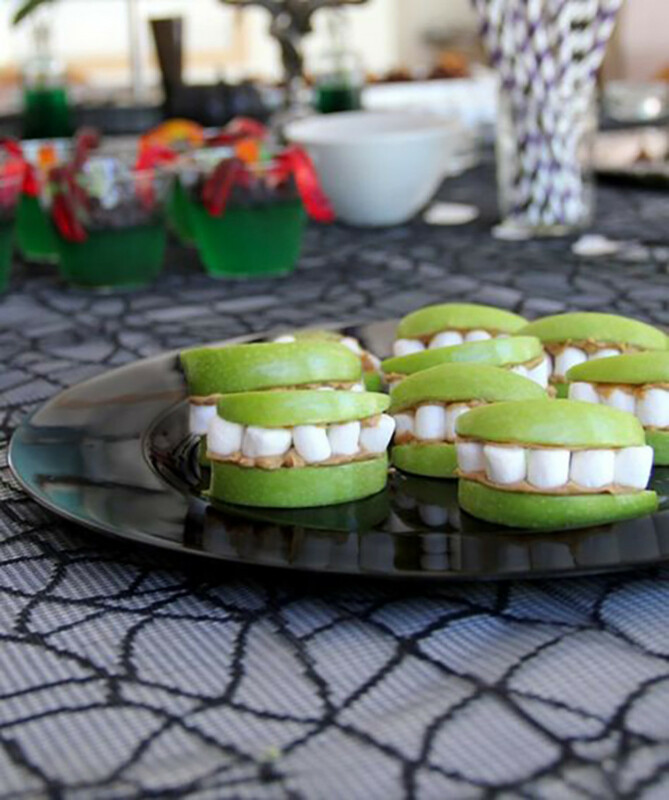 They’re quick, festive, and just in time for your next ghostly gathering. No time? No problem! 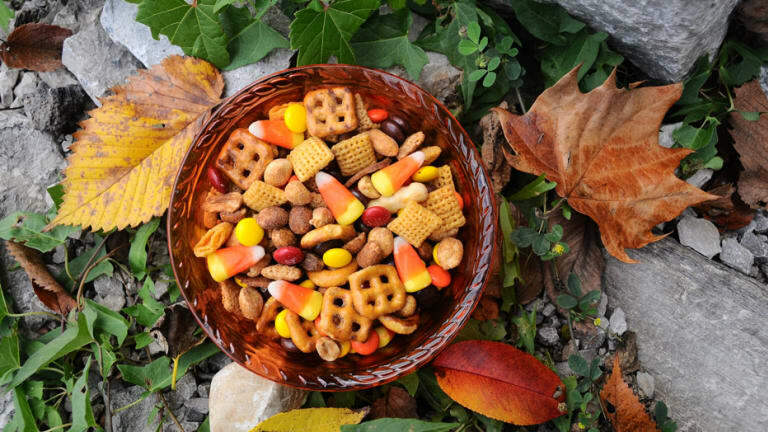 This sweet and salty Halloween snack mix is here to prevent the witch in you from coming out. With just a few ingredients and a quick toss, you can whip it up at the last minute. 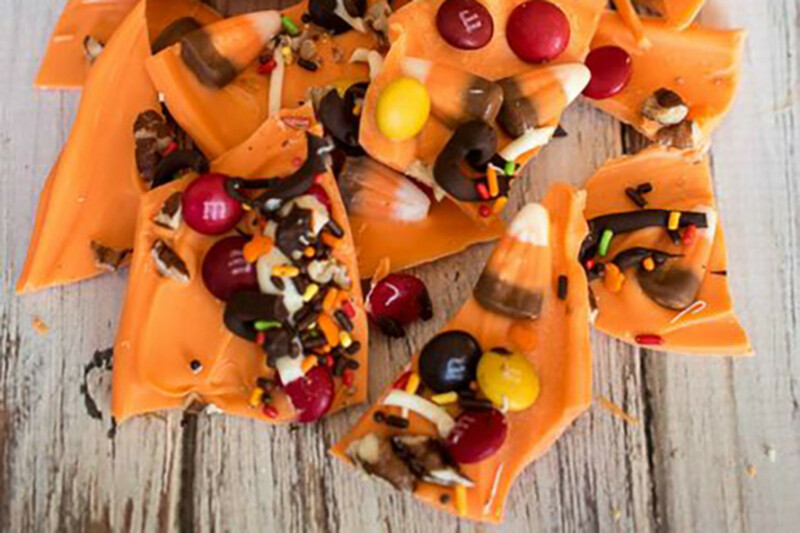 There’s something so divine about chocolate bark any time of year. Maybe it’s the way you can wrap it up in a clear bag, tied with a ribbon of your choice. 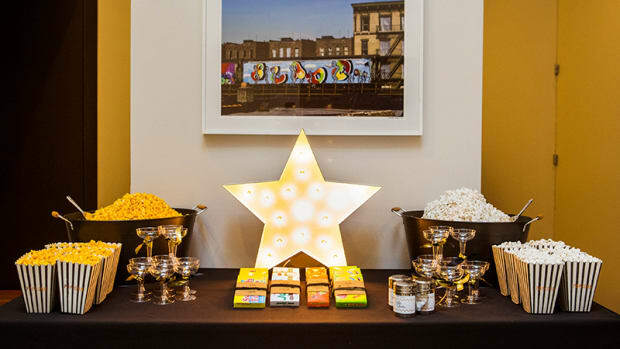 Or maybe it’s the way the assortment of candies embellishes the surface, in all its delicious glory. 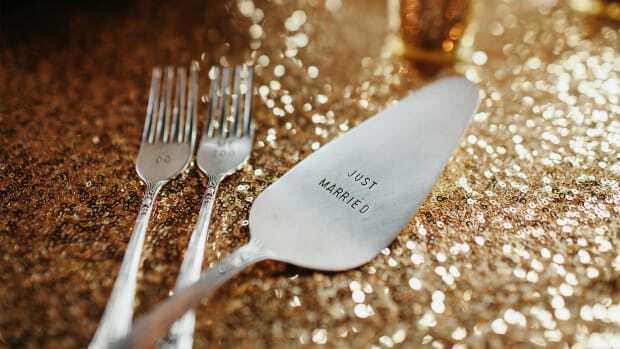 Whatever the case, we’re loving it. By the time Halloween rolls around, there’s a good chance you’ve snagged a haul of handpicked apples from the nearest orchard. It’s the perfect season to stock up on this delicious superfood, after all. If you haven’t? Make a quick trip to the grocery store because these apple caramel teeth are too cute to pass up. We may associate sherbet with warm weather, but who says the fun has to stop there? Enjoy one last bit of summer with these charming orange sherbet pumpkins. If you’re a frequent maker of orange smoothies or juices, this is a great way to put those peels to good use. And if you’re not? It wouldn’t hurt to start taking them up. After all, the hefty dose of vitamin C will help boost your immune system, just in time for cooler weather. Over the years, peanut butter cups have gained a cult following. But why follow the crowd when you can make your own with a twist? 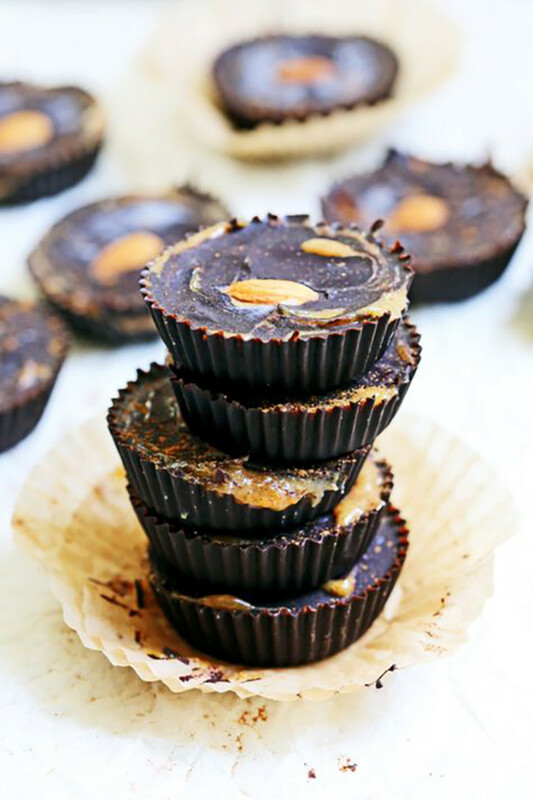 These pumpkin caramel almond butter cups are like the cooler older cousin of traditional peanut butter cups. 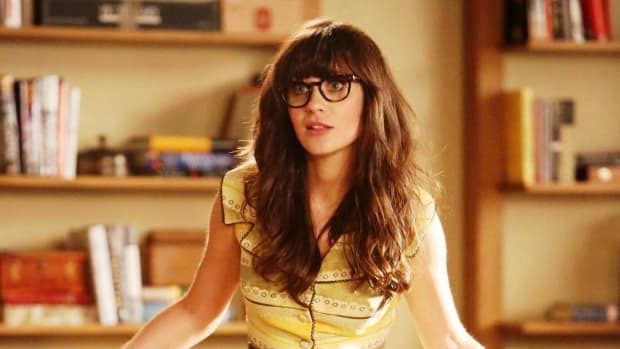 When it comes to the Halloween season, witches seem to steal the show. 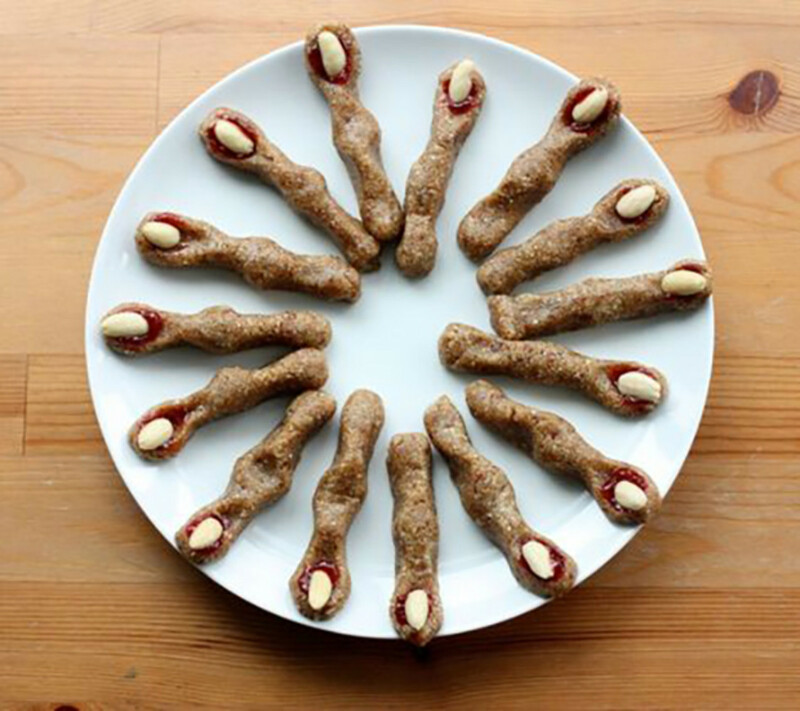 That’s why these raw vegan witch-finger cookies are a must-make (not bake!) for your next party. At first glance, they may look like regular sugar cookies, but they’re made of healthy ingredients such as pitted medjool dates, chia seeds, and strawberries. 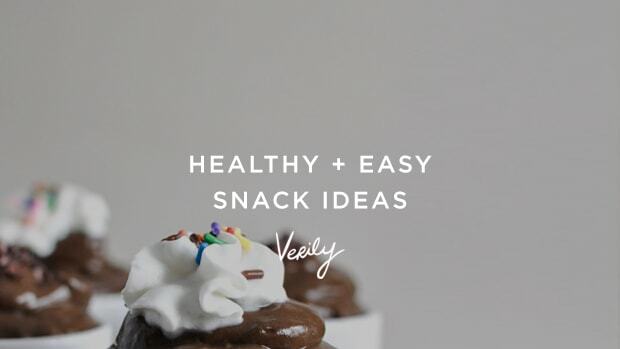 Not bad for a deceptively vitamin-packed snack. As the unofficial treat of autumn, caramel apples add a delicious seasonal touch to any party. But when you’ve got a big group of guests to feed, prepping whole apples can be time-consuming. 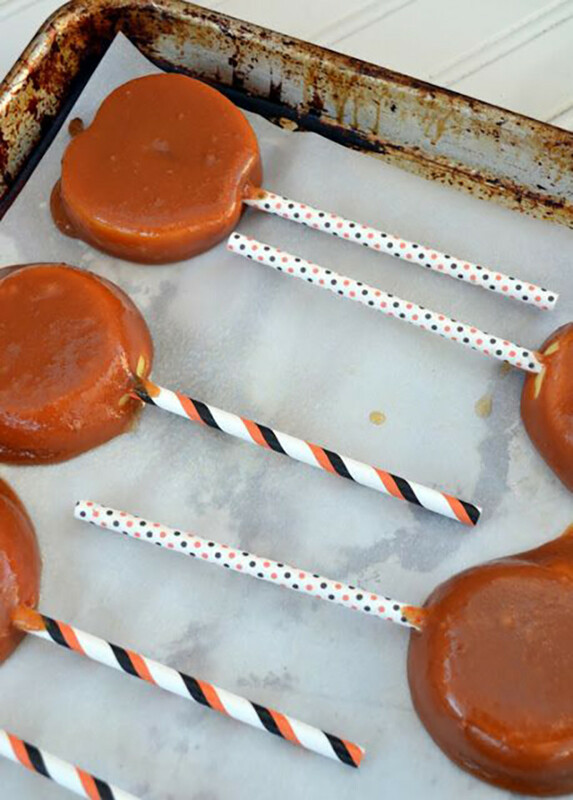 Try these chocolate and caramel-dipped apple slices instead. Just divvy up a single apple into sixteen slices, and you’ve got enough to please a crowd. Every autumn, the pumpkin spice latte makes an infamous return to our favorite cafés. Unfortunately, tasty as they are, holiday lattes can be quite unhealthy. Full of sugar, artificial dyes, and preservatives, the average PSL could use a little tweaking. 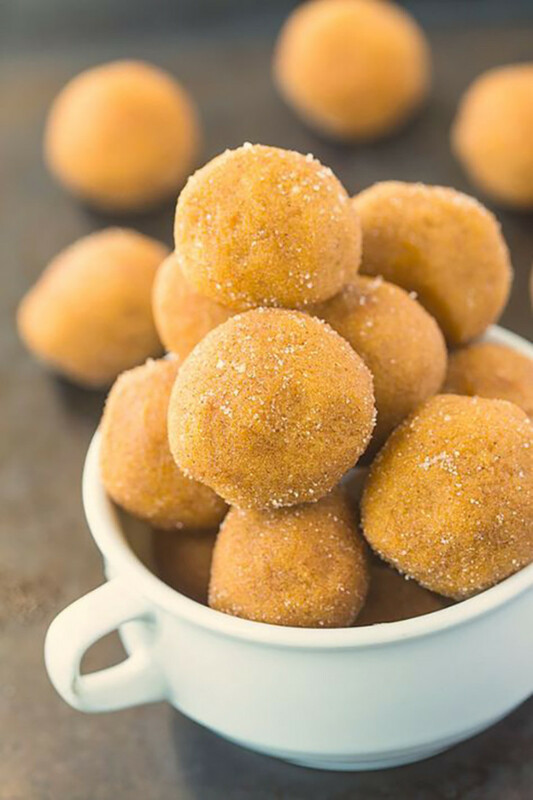 Try these no-bake pumpkin spice latte bites for a quick fix. With a cake-like consistency and a quintessential autumnal flavor, these treats are something special. 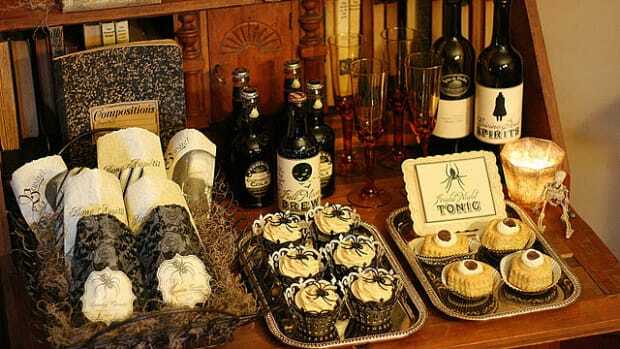 During a holiday full of cutesy pumpkins and kitschy ghosts, it can be tricky to celebrate Halloween in a “grown-up” way. 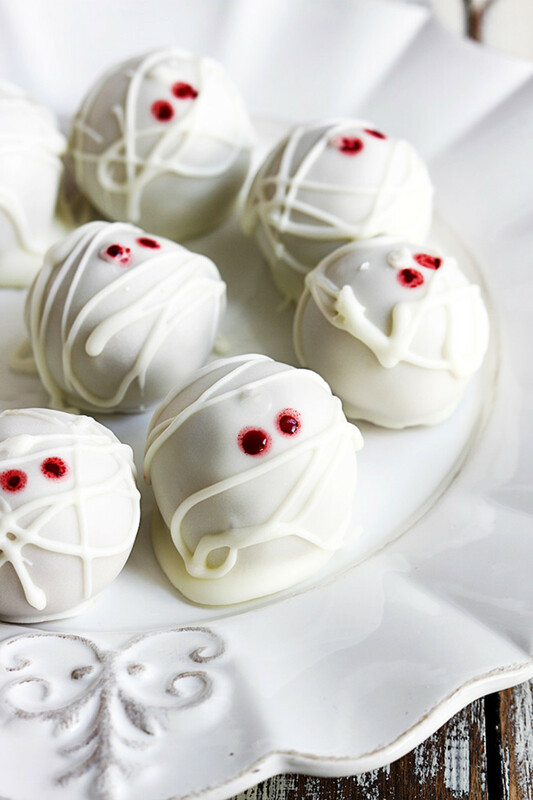 Fortunately, desserts such as these pumpkin cheesecake truffle mummies prove that there can be a perfect balance. 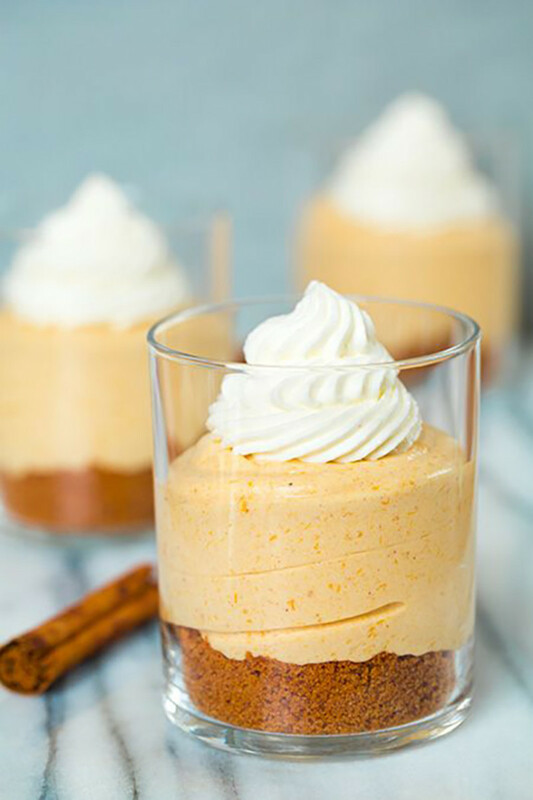 It all comes down to simplicity—and pumpkin cheesecake, of course. 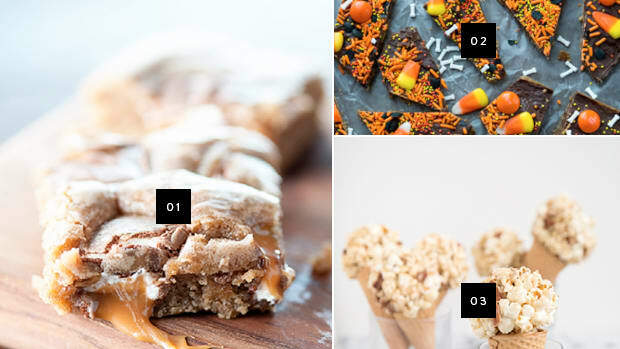 With these ten no-bake dessert ideas, you’ll be well on your way to celebrating Halloween in the sweetest and quirkiest way. Now just have a ghoulishly good time!